The White Plains accident attorneys at Worby Vecchio Edelman have a deep understanding of what our clients experience after having been injured in an accident. Suffering a serious injury results not only in the pain caused by the injury, but also a loss of control over one’s life. Our clients are often unable to return to work for an extended period of time. That in turn can cause a loss of income, or at least a diminished income. Additional medical procedures add recovery time, which in turn can add to the amount of lost work time, and the resulting loss of income. How Long Does It Take to Resolve My Case? One of the most frequent questions that we are asked by our clients is how long will it take to resolve a case. The truth is that no matter how quickly our staff processes the case, factors beyond our control can add significant time to the process. Depending upon the county in which a case is tried, court congestion can result in lengthy delays. For that reason, we often recommend to our clients that we attempt to resolve a case in either arbitration or mediation. 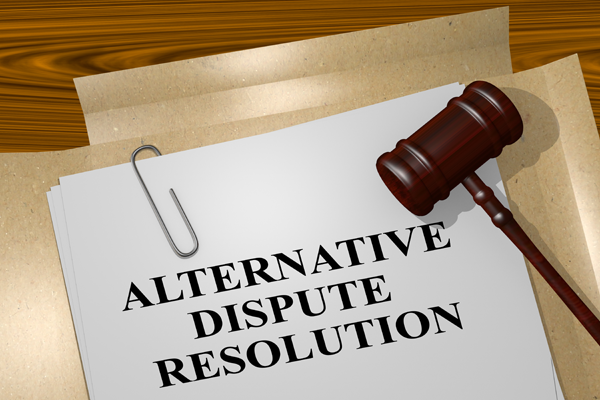 Both of these processes fall under an area of our practice known as Alternative Dispute Resolution, or ADR. Rather than settling a case with an insurance adjustor or defense attorney through telephone communication, or a jury determining the outcome of a case, in ADR we either mediate or arbitrate. These are two separate methods of case resolution. A mediation is an out-of-court settlement conference, in which the attorneys for each side go before a neutral mediator, and attempt to settle that particular case. The mediator is usually, but not always, a retired judge; sometimes attorneys experienced in the field act as mediators. The advantage is that the mediator devotes his or her time exclusively to that one case – as opposed to when we appear before a Judge who might have two dozen cases on the calendar on that date. In a mediation, each side presents a synopsis of its case. The mediator then speaks to the sides individually in an attempt to bridge the gap toward a mutually agreeable settlement number. The client does not have an active role in a mediation, but should be present, because settlement numbers are discussed, and decisions can be made at that time. We believe that a client’s presence at the mediation makes a statement that the client is serious about settling the matter, which in turn can motivate an insurance carrier. The mediation process is non-binding, which means that while the mediator will make recommendations on a range of settlement numbers, neither the injured party nor the insurance company is required to accept the mediator’s recommendation. Each party can reject the recommendation at any time. An arbitration is a min-trial, held before an arbitrator selected by each of the parties. Similar to a mediation, that arbitrator is usually a retired judge, but attorneys can also acts as arbitrators. Each side presents its evidence, and the arbitrator makes a decision as to whether the defendant is responsible (liable) for the accident, and if so, the amount of damages to be paid. One of the advantages of an arbitration is that Rules of Evidence are relaxed; as a result, the process is more informal than a trial before an actual judge. The process is binding, and with few exceptions, an arbitrator’s decision is final, and not appealable. There are a few variations on the arbitration process. In the appropriate case, we might enter into a “high-low” agreement with the defendant. Under that scenario, the defendant or its insurance company will be required to pay a minimum amount of money regardless of whether the arbitrator finds the defendant to be responsible for the accident, and the damages will be capped at a specific number, even if the arbitrator rules that a higher number should be paid. The advantage of each of these ADR processes is that the case is resolved much quicker. The uncertainty that our clients experience as a result of the injuries that they sustained; the delays to get a firm trial date; the anxiety of the lawsuit itself; the question of whether a defendant will appeal a successful verdict; can all end much faster than if the case is tried in court. ADR is not appropriate for every case, but can be very beneficial in the right one. Call the White Plaintiff accident attorneys at Worby Vecchio Edelman if you or a loved one is involved in any type of accident. We have years of experience in automobile accidents, fall down accidents of every type, construction accidents, wrongful death cases, and medical malpractice. We’ll evaluate your case, and answer all of your questions. If it’s appropriate for your circumstances, we’ll recommend ADR. Engaging in the ADR process can be very advantageous to your ultimate goal: a favorable resolution in a reasonable amount of time.